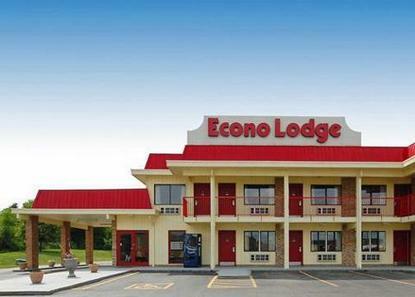 The Econo Lodge Kearny offers free wireless Internet access, microwaves and refrigerators in all rooms. Our continental breakfast includes fresh fruit, cereals, pastries,juice, sausage, biscuits and hard boiled eggs. Guests will enjoy our outdoor pool. We are located near restaurants and only 10 miles from a large shopping district. Conveniently located off I-35 just 20 miles from the Kansas International airport. We also have a large parking area for our guests convenience. Pet accommodation: 12.00/stay (small dogs only).